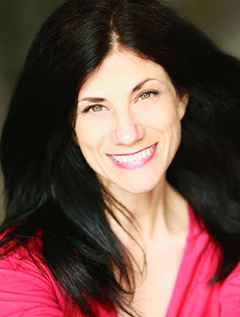 Actor and voice-over artist Mary Sarah is known for her subtle, emotionally potent performances. Classically trained at the Riverside Shakespeare Academy and the Film Actors Studio in New York City, Mary spends most of her time in the dark ages, narrating books filled with adventure, mystery, and romance. A 2016 nominee for the Voice Arts Award from the Society of Voice Arts and Sciences (SOVAS) for her work in Tamara Leigh's The Longing, Mary thrives on character-driven work and powerful heroines. Finding multiple homes in the classics, historical fiction, fantasy, children's literature, poetry, and cultural voices, Mary relishes in the power of storytelling to awaken our hearts. As a film actor, she received critical acclaim for her role in the docudrama Death Valley: A Love Story, was a member of the award-winning ensemble for Call It in the Air (Best Feature Film/Pocono Film Festival), and garnered a Best Supporting Actor nod for her work as Sarah Helvey in The Honour.